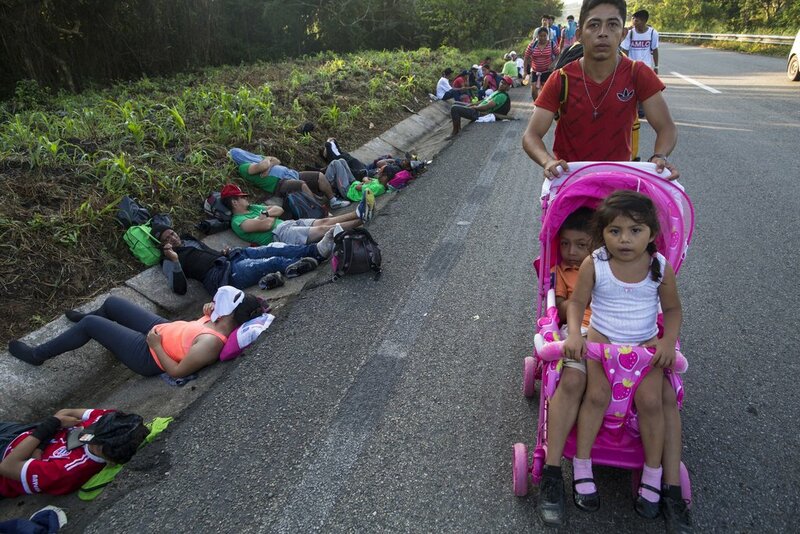 An estimated 2,300 children travelling with the migrant caravan now in southern Mexico need protection and essential services such as healthcare, clean water, and adequate sanitation, UNICEF reported Friday at the United Nations in Geneva. “Many of the children and families in the caravan are fleeing gang and gender-based violence, extortion, poverty, and limited access to quality education and social services in their home countries El Salvador, Honduras, and Guatemala,” said UNICEF spokesperson Marixie Mercado. The children have been exposed to inclement weather, including dangerously hot temperatures and with little access to appropriate shelter. According to UNICEF personnel on the ground, some of the children have fallen ill and suffered from dehydration, Mercado said. “While those traveling with the caravan hope for safety in numbers, the perils of using irregular migration routes remain significant, especially for children,” Mercado told reporters in Geneva. “The journey is long, uncertain and full of danger including the risks of exploitation, violence, and abuse”. She added that “the separation of children from their families and immigration detention are deeply traumatising for children and it often leads to long-term impact on their lives. We continue to urge all governments to seek alternatives to immigration detention and obviously to keep families together”. 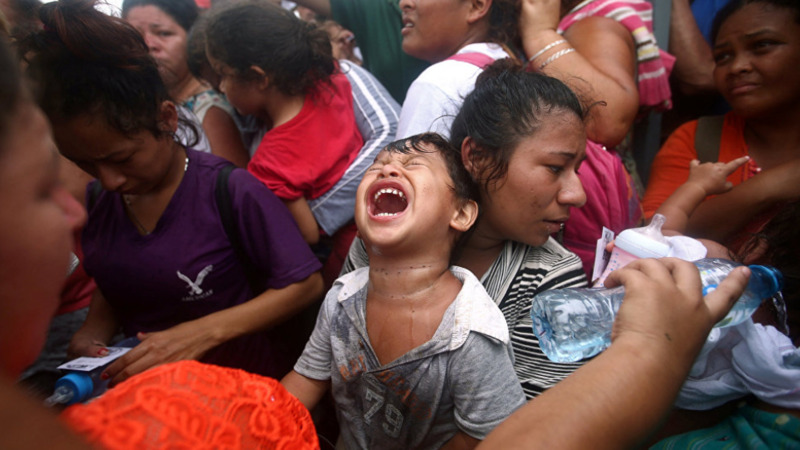 While the US administration announced yesterday that it is planning to dispatch at least 800 troops to the southern border, UNICEF is urging all governments “to make sure that these children have access to all the protections that are afforded to them under international law.” According to Mercado, “that means that it is essential that all children and families are able to apply for asylum, and that they are able to have their international protection rights addressed before any decision on returns or deportations are made”. 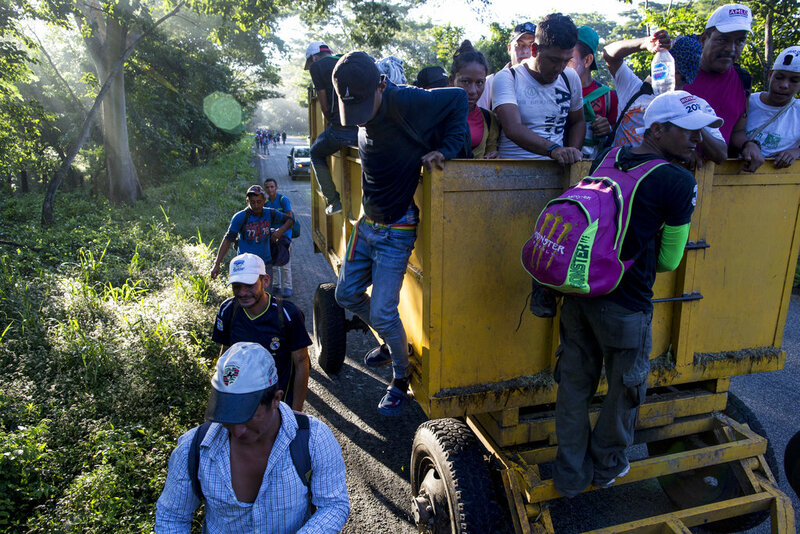 The migrant caravan started their northward journey on 12 October in city of San Pedro Sula, Honduras, where a group of 160 people gathered at a bus terminal and prepared to set off in the direction of the United States, via Guatemala and Mexico. Honduras has one of the higher violent death rates in the world - the country is racked by gang violence, drug wars, and corruption. 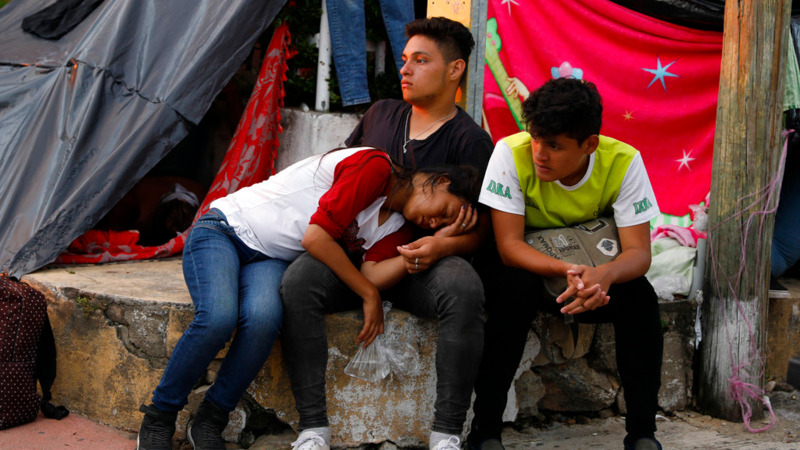 According to the UN refugee agency, UNHCR, gang violence in Honduras, along with El Salvador and Guatemala, is driving hundreds of thousands of people to flee from their homes every year. “Our position globally is that the individuals that are fleeing prosecution and violence need to be given access to territory and protection including refugee status determination procedures,” UNHCR spokesperson Andrej Mahecic said today. “If the people are fleeing prosecution and violence into Mexico, they need to be provided access to the Mexican asylum system, and those entering the United States need to be provided access to the American asylum system. And we are working with all the countries in the region to ensure that people in need of protection do receive that protection,” Mahecic said. He explained that “according to the data from the Mexican Ministry of Interior, as of 25 October 1, 743 asylum claims have been made into Tapachula, and those are registered by the Mexican Commission for assistance to refugees”. The migrants have been sleeping on the streets or in makeshift camps with a lack of clean water and sanitation. Food is also in short supply. While Central American have long fled their homelands for the United States and have sometimes joined forces along the way, the organised nature of these caravans is relatively new.